After investing in fossil fuels for decades, the Indian public company NTPC explores the hydro sector; its first hydel project raise protests, floods pilgrimage site and threatens a wildlife santuary. But it also faces fincancial distress. The Koldam Dam Hydropower Project is an embankment dam on the Sutlej River near Barmana on the Chandigarh-Manali Highway ( NH-21) and the border of Bilaspur district and Mandi district, Himachal Pradesh, India. The total capacity of the project is 800 MW, and, when operational, the HEPP is expected to generate approximately 3,054GWh of electricity per annum. The host state Himachal Pradesh is entitled to receive 15% of the generated power free of cost and a further 12% at bus-bar rate. The construction plans were announced by the Prime Minister Atal Bihari Vajpayee in 2000 and works started in 2004. "With this, the total installed capacity of NTPC has become 44,003 MW," NTPC declared. NTPC is also executing four more hydroelectric projects - Tapovan Vishnugad (520 MW) and Lata Tapovan (171 MW) in Uttarakhand, Singrauli Small Hydro Project (8 MW) in Uttar Pradesh and Rammam in West Bengal . A consortium comprised of BHEL, Marubeni and Toshiba was awarded the contract for supplying, transporting, installing and commissioning the Francis turbines, generators, transformers and associated machinery for Koldam HEPP. NTPC awarded the contract for main civil works related to the dam, spillway and power intake to Italian-Thai Development Public Company Limited (ITD). Gammon India was awarded the power house construction and other associated civil works contracts. It was also responsible for the construction of the tailrace channel, bay work and penstock tunnel works. Gammon subcontracted the penstock and power house construction work to AMC projects. The penstock steel liner works were sub-contracted to PES Engineers. Many others companies were contracted for other works, like the tunneling, metallic equipment, etc. The associated transmission system for Kol dam is presently being developed by Power Grid Corporation of India. Considering the high silt content of the Satluj, the life of the reservoir is expected to be 30 years. According to TV channel NDTV, the construction of the Koldam project (which began in 2003) got delayed due to various environmental and geological hurdles leading to a cost over-run of about 20 per cent from the approved investment of Rs. 4,527 crore . Generator commissioning was originally scheduled for 2009 but was rescheduled to 2015. According to The Tribune, the NTPC has attributed delays to geological surprises, including seepage which was plugged later, visa problems of Italian and Thai engineers and issues of the oustees who were not satisfied with the rehabilitation and land awards that, in turn, halted the work . In Dec 2013 the impoundment of water in the reservoir begun, although not completely . The plant is planned to export energy to Delhi, Haryana, Punjab, Rajasthan, Uttar Pradesh, Jammu & Kashmir and Chandigarh, beside feeding the state grid as well. The project would add another 366.48 million units of electricity every year to the HP state’s power kitty as it would get 12 per cent free power share out of the 3,054 million units of electricity that the project will generate every year, meeting this way the shortage in the northern grid in summers. 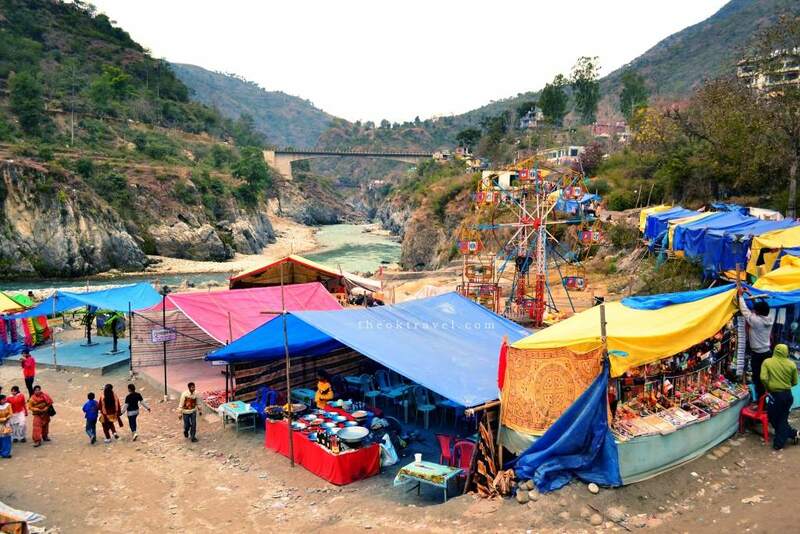 Local people have raised concerns about the project as land of 68 villages has been acquired and the reservoir submerged the hotspring in Tatta Pani, a popular religious pilgrimage destination in Himachal Pradesh, as well as the Majathal Wildlife Sanctuary. In the month of January, Makar-Sankranti festival is celebrated at Tattapani and it is popularly called “Mini-Kumbh” of Himachal Pradesh. The festival is celebrated in the last week of January and the day of 26 January is considered an auspicious for a holy dip. The site also offers recreational activities like rafting. One wonders what will be impact on the local economy, which thrives on pilgrim tourism, once the holy place is erased from the landscape. Ironically enough, it has been reported that a company is already collaborating with the state of Himachal Pradesh for somehow reviving the springs . In March 2015 Chief Minister Virbhadra Singh declared "Hot springs in Himachal Pradesh's Tattapani which got submerged this year after the construction of a dam will be restored so that people can enjoy hot baths there", by restoring the hot water springs at Tattapani, 50 km from here, by boring the hot water beds through pipes . The site has also received the visit of an Indian-Norwegian team of specialists in geothermal energy, who claimed India has a great potential in geothermal power and that these hotsprings can also become a tourist attraction for the region. They claimed the springs have not been properly relocated and advocated for saving them . Local inhabitants accused the government of signing the MoU (Memorandum of Understanding) without caring for proper rehabilitation and noted that NTPC had not developed proper plots. The oustees warned local politicians against using them as an excuse to grease their palms and denounced that Rs 15,000 (around 230 USD) as compensation was not a reasonable compensation amount. During large mobilization in 2013, oustees continued to paralyse work at the site and stuck to their demands of a permanent job for a member of each family or Rs 25 lakh as compensation, 30 per cent jobs in the upcoming hydro-engineering college, free electricity and treatment at the NTPC dispensary on all working days. However the NPTC turned down their demands and termed them as unjustified . Regarding the sanctuary, interestingly, the NTPC had stated they were unaware that any wildlife area would be submerged at all as they had taken over the project from the Himachal Pradesh State Electricity Board that claimed to have received environmental clearance in 1989. They also repeated in 2005 that “no wildlife sanctuary/protected habitat/forest would be submerged by the Kol dam”. However, environmental lawyers point out that the environmental clearance process was only introduced in 1994, so one wonders what kind of environmental clearance they got. A re-demarcation was done late 2006 and was found that forest land to be acquired increased of almost 45 ha (from 999.54 Ha of forest land against 954.69). The National Board Wild Life (NBWL) rejected the extension. NBWL is totally opposed to submergence of this crucial wildlife area, and also reminded that part of the Darlaghat Sanctuary (in the vicinity of the dam) was de-notified in 2006 to permit limestone mining for a cement factory. NBWL has opined that “there is little doubt that the Kol Dam will pretty much be a death knell for one of the best refuges of the cheer pheasant sanctuary.” . The company proposed to lower the height of the dam, a measure that would “save” some hectares from being flooded, but environmentalists denounced the proposal to be unacceptable. According to Guman Singh, one of the prominent speakers of a local environmental movement, “having conserved the Majathal Wildlife Sanctuary for so many years so as to protect the habitat of Cheer Pheasant, Ghoral, barking deer and other wildlife, now allowing it to be submerged is criminal.” He also noted that in order to obtain forest and environment clearances, companies usually show that the proposed dam will have minimum environment impact; once the construction is at an advanced stage, inundating forest lands, a wildlife sanctuary becomes fait accompli to realize the projects full potential. This is a quite common modus operandi. The NTPC also failed to submit a Biodiversity Impact Assessment report while seeking clearance from the Standing Committee even though it is mandatory for any proposal that requires diversion of more than 50 ha. of area. According to The Hill Post, Bhagat Singh Verma, a lawyer who is among those being displaced by the dam says, “two cement plants in the vicinity of the dam have already disturbed the natural habitat of the rare pheasant and allowing Kol Dam reservoir to inundate some part of the sanctuary would not be tolerated.”  Also the issue of construction materials and waste is hot in the agenda at the Koldam HEP. According to IAS and environmentalist A. Shukla "The biggest footprint of these projects is on account of the sheer volume of muck and debris that they generate by tunneling and road construction. Just to give one an idea, the net volume of muck generated by the Kol Dam of NTPC on the Sutlej is 2.27 crore cubic metres; to put this in perspective: if this muck were to be dumped into the Sutlej (where it will eventually go), it would raise the level of the Sutlej by 2.20 metres along a length of 100 kms." Mr Shukla, as Additional Chief Secretary [Forests] at that time, was appointed in 2009 by the state High Court as a one man Commission to study and report on the environmental impact and compliance of major hydel projects in the state. He expresses the main concerns by local people, namely the safety of the dam in a fragile mountain region, the huge diversion of forests, the felling of trees, the deterioration of the soil, etc along with social concerns due to displacement. In June 2015, sources announced the imminent start of operations at Koldam powerhouse, as two of the four turbines have been commissioned and are ready to generate electricity . This comes with a considerable delay; started in 2003, the plant was scheduled to start generation in 2009 and was postponed several times. It will have cost over- run of around 20 per cent. The construction of 800 mw Kol Dam has come under scanner again in October 2015 as both sides of the “plunge pool” have been damaged in a few months of operation which not only shows the poor quality of construction but also the faulty design. Project Details Total capacity is 800MW (4x200 MW). According to Times of India, "The first hydro power project of NTPC would start generating power by 2014-15, providing much needed peaking capacity to northern grid by annually generating 3054 GWh electricity at 90% dependable year basis." And also " The catchment area of dam would be around 42 km. The cost of Kol dam project at December 2001 price level (excluding interest during construction) was Rs 4527.15 crore." The project will comprise a 167m tall rock and gravel fill clay core dam with a crest length of 474m and a chute-type spillway with six 17.1m wide and 17.74m radial gates situated to the left of the dam. It will further comprise a surface-type 135m x 42m x 48m powerhouse containing four vertical Francis-type 200MW turbines to be operated with 144m hydraulic head, an open-type tailrace channel 100m in length and a surface/conventional-type switchyard. Transmission lines are being constructed by Reliance Infrastructure Limited and Parbati Koldam Transmission Company Limited. Development of Alternatives After construction of the dam, as land cost and standard of living has gone up and the villages are like urban areas, local villagers demand that the initial compensation agreement should be revised; they also demand a rain-shelter at Nehar village, payment of one percent of revenue in cash, employment to local youths and better condition of roads and supply of electricity. Such demands are also reported in the PESE report, commissioned by the state government. The Uttarkhand Apocalypse: is Himachal next?